The inaugural meeting of EACREEE’s Board of Directors closed with a strong commitment for scaling-up its operations. The Board approved internal rules and procedures including Financial Regulations and Rules, Staff Regulations and Rules, Procurement Manual, among others. The approval of these instruments makes it now possible for EACREEE to contract, receive and make payments, receive funds and do all things that a legal entity can do. The Board of Directors also approved an ambitious five-year Strategic Plan (2019 to 2023) and the 2019 Work Plan. The Strategic Plan provides a roadmap for EACREEE’s work, highlights its major priorities for the next five years and demonstrates its contribution to the UN Sustainable Development Goals (SDGs) and the Paris Climate Agreement in the EAC with a transformative focus on promoting investments in renewable energy and energy efficiency projects and businesses. 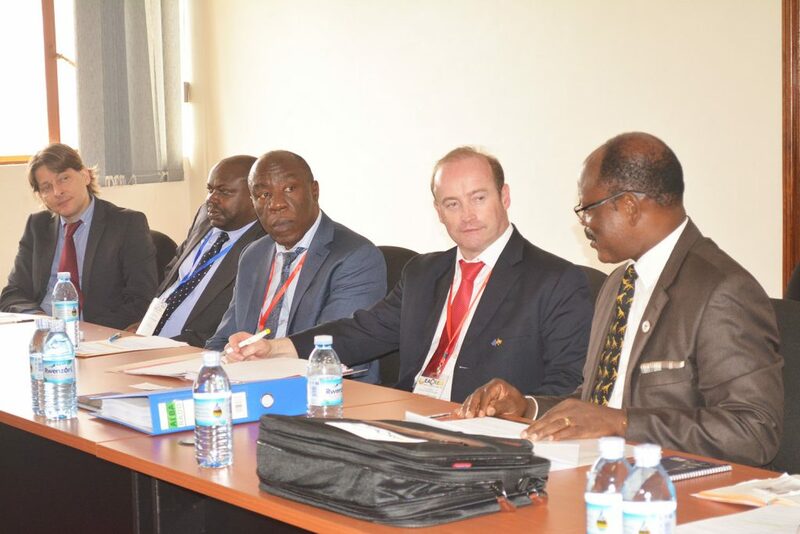 The Board of Directors meeting was held at Makerere University College of Engineering Design Art and Technology (CEDAT) on 28th February 2019. It was preceded by a Technical Advisory Committee (TAC) meeting held at the same venue 25-27 February 2019 to review the necessary documents. 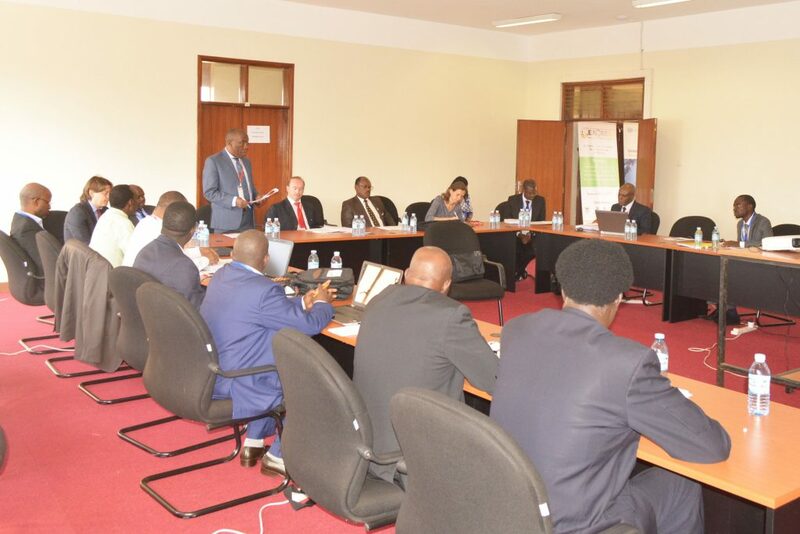 The two governing bodies of EACREEE comprise of representatives from the energy ministries of each of the six East African Community (EAC) Partner States, the EAC Secretariat and Makerere University Council. Representatives of the United Nations Industrial Development Organization (UNIDO) and the Austrian Development Agency (ADA) attended as core partners. 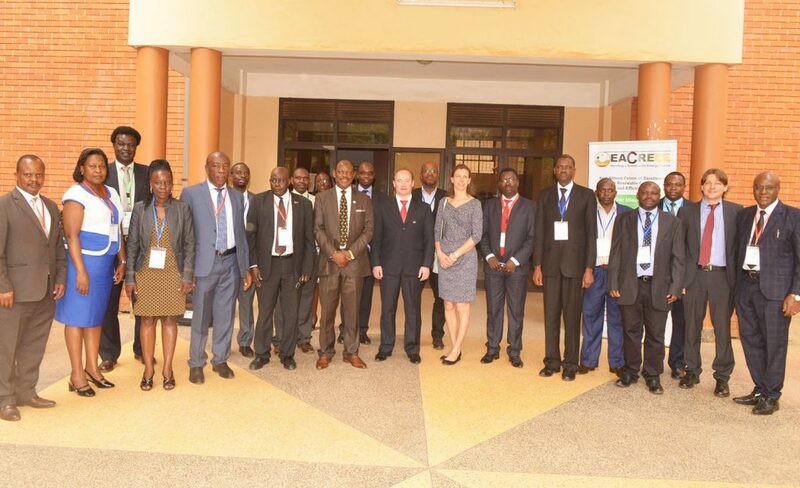 Inaugurating the Board of Directors, Prof. Barnabas Nawangwe, the Vice Chancellor of Makerere University, reiterated the university’s commitment to supporting the programmes and activities designed and implemented by EACREEE on behalf of and in collaboration with the EAC Partner States. In addition to the available office space currently being used by EACREEE, the Vice Chancellor announced that the University will allocate land to EACREEE to construct a net-zero and ultra-low energy building which will serve both as EACREEE offices and a Centre for research and demonstration. He called on EACREEEE to redouble its efforts as an important agent to liberate the region from poverty, ensuring good health by promoting use of clean modern energy services. ADA and UNIDO have played a very instrumental role in the establishment of EACREEE by providing funding for the start-up and first operational phase. Mr. Heinz Habertheuer, Director, International Programs and Projects, Austrian Development Agency (ADA) appreciated the work already done, and encouraged the EACREEE management to upscale its activities and partnerships. “We expect EACREEE to become a very active member of the Global Network of Regional Sustainable Energy Centres, which we are establishing in cooperation with UNIDO and various regional organizations,” said Mr. Habertheuer. Speaking at opening session, Mr. Martin Lugmayr, the Sustainable Energy Expert at UNIDO, reassured continued support and underlined the important role of EACREEE to create an integrated and inclusive EAC market for sustainable energy and climate technology products and services.